Neo Camera has reviewed a new digital camera from Nikon. 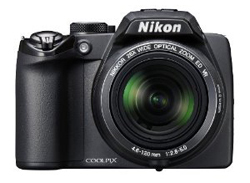 The camera is called Nikon Coolpix P100 and feature an impressive 26x optical zoom lens in addition to the ability to record HD movies at 1920×1080 @ 30 FPS. Neo Camera ends up giving the Nikon Coolpix P100 an overall rating called “Good”. The reviewer find the camera to have several positive points including very good video quality, excellent white balance, good build quality and the continuous shooting is best in its class. On the downside they find some over exposure, lower image quality at higher ISO levels and some vignetting and corner softness. The P100 seems to be a good camera with awesome zoom range, but it has a few shortcomings. If you can live with them this superzoom might be your choice. Read the full review of the Nikon Coolpix P100 digital camera here.